An exclusive Dyson DC07 vacuum cleaner cyclone carrying handle manufactured by Qualtex. Dyson do not.. This seal is compatible with your Dyson DC25 vacuum cleaner .. This bin assembly is a genuine part for select models of Dyson vacuum cleaners .. Compatible Dyson DC07 vacuum cleaner dust bin base flap. ..
Genuine Dyson bin base flap for Dyson DC14 and DC15 vacuum cleaner models. ..
Genuine Dyson DC23 and DC32 vacuum cleaner bin base assembly. .. This is a genuine Dyson replacement bin assembly for your Dyson DC07 vacuum cleaner. This bin is mad..
Dyson dust bin container assembly for Dyson DC30, DC31 and DC34 vacuum cleaners. Genuine Dyson sp.. 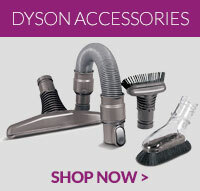 This is a genuine Dyson replacement cycolne assembly for your vacuum cleaner. .. This bin assembly is a genuine part for your Dyson DC50 vacuum cleaner ..
Genuine Dyson bin assembly for Dyson DC31, DC34 & DC35 Handheld models. ..
Dyson vacuum cleaner replacement dust bin assembly spare for DC14 & DC15 models .. This seal is compatible with your Dyson DC24 vacuum cleaner .. Replacement genuine Dyson dust bin container assembly for Dyson DC40 model vacuum cleaners. ..
Genuine Dyson DC41 vacuum cleaner cyclone assembly in Satin Red ..